Hello dearies! What a joyful day indeed today, at least for me. I hope that yours would do so too! I am reviewing an eye drop that is very well known in Japan today. I have been using their products for some time now since i do also wear contact lenses and their products are okay to wear with or without lenses. 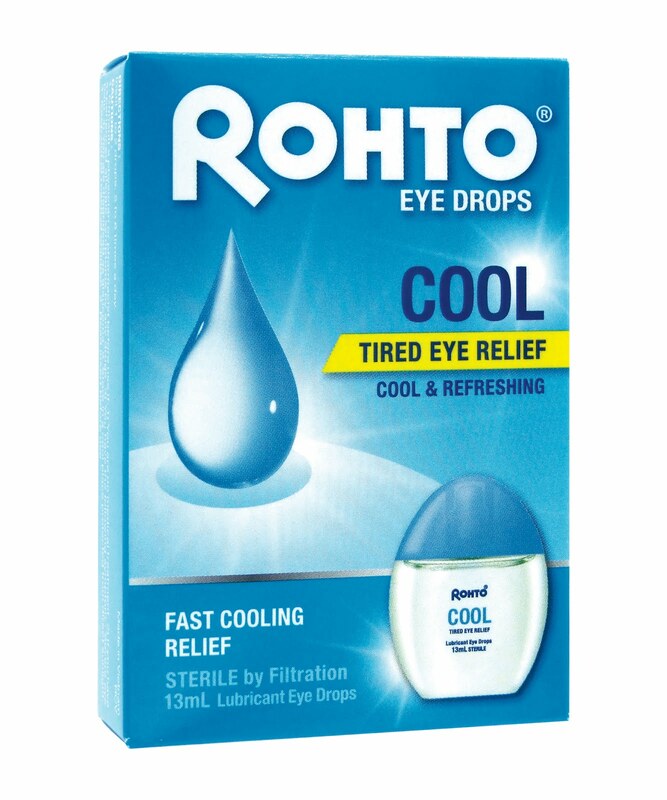 In the past, i only use the Rohto C Cube Eye Drops. We do not have the famous Rohto Lychee so this is the closest so far. Few weeks back, i went back to the pharmacy and i saw these cute bottles of the new Rohto eye drops. I went out and buy one type which is the Aqua. Used it for a while and now i lost it. T_T Then i was contacted by Mentholatum rep and they wanted me to test out their new range of eye drops! YAY. Rezeki. Mentholatum has come out with another 3 types of eye drops for us to use daily. Some are suitable for contact and soft contact lens and some can only be use without contact lenses. I received the Cool one and want to know what do i feel? Click read more below! I'll be reviewing the COOL ones as that's the one that i received from Mentholatum although i did used the AQUA type i'll review that one later below as well, just a short paragraph. Dry, strained and tired eyes due to prolonged exposure to TV/computer usage. Effectively retains moisture and natural tear in eyes. Dryness and eye discomfort due to wearing of contact lenses with protective moisturizing veil. Minor eye irritations due to smog, dust, wind, sun glare and chlorinated water by giving soothing relief. To tell you the truth, the first time i tried out this eye drop, i thought i was going to burn my eyes out! It is super cold and it sting my eyes. But actually it is not. I just thought that it would sting my eyes. After a while, it leave my eyes super fresh and bright visibility! But, to drop the eye drops into my eye is a nightmare after that. I am so sorry, it is not that i do not like the product. It works well after that but i just could not bear the first drop. Just look at the cooling level! No.5! My boyfriend likes it though, suprisingly. He is also a contact lens wearer and he likes this drop so very much. So, now i think the drop is his. Hehe. I need to buy a new one from Rohto but i will buy the AQUA ones instead of this. I have tried using it with and without lens. 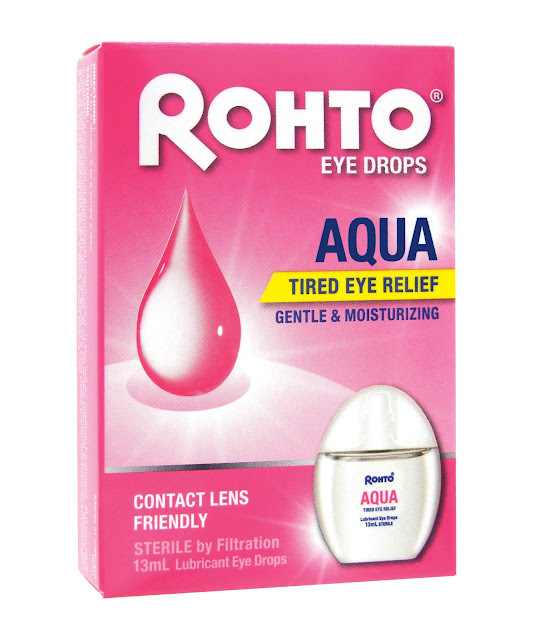 Just a short review on the AQUA type of eye drop from Rohto. I have used this one for nearly 2 weeks and i am super loving it!It does not sting my eyes at all and it feels super fresh after few drops on each eye. The best thing is that, you can use it with or without contact lenses as well! It makes your vision so clear and your eyes so fresh! That's why it is being called the tired eye relief drops. If you are looking for a small, compact and simple eye drops, you may want to consider Rohto as your daily drops. Just to bear in mind that the price is a bit high compared to other eye drops in stores but it does work very well and instantaneously. 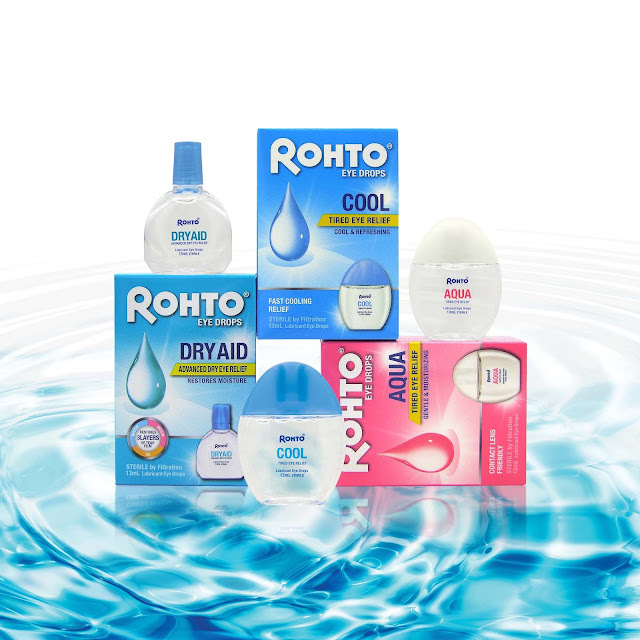 The price for each of the eye drops from Rohto is RM16.90. I think it is because of the process of getting the right ingredients for the eye drop. So, if you have tested out this new eye drop, what do you think? Share with me in the comment down below!